Glam Morena: Friends Don't Let Friends Miss Deals! Friends Don't Let Friends Miss Deals! Do you want to potentially get 25% off at Too Faced?! 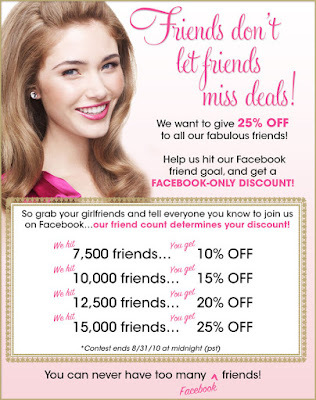 We want to give 25% OFF to all of our fabulous Too Faced friends! So, help us hit our Facebook friend goal and get a FACEBOOK-ONLY discount! Grab your girlfriends, and TELL EVERYONE YOU KNOW TO JOIN US ON FACEBOOK...remember our friend count determines your discount! Click here to view Jerrod Blandino’s special video about the contest. 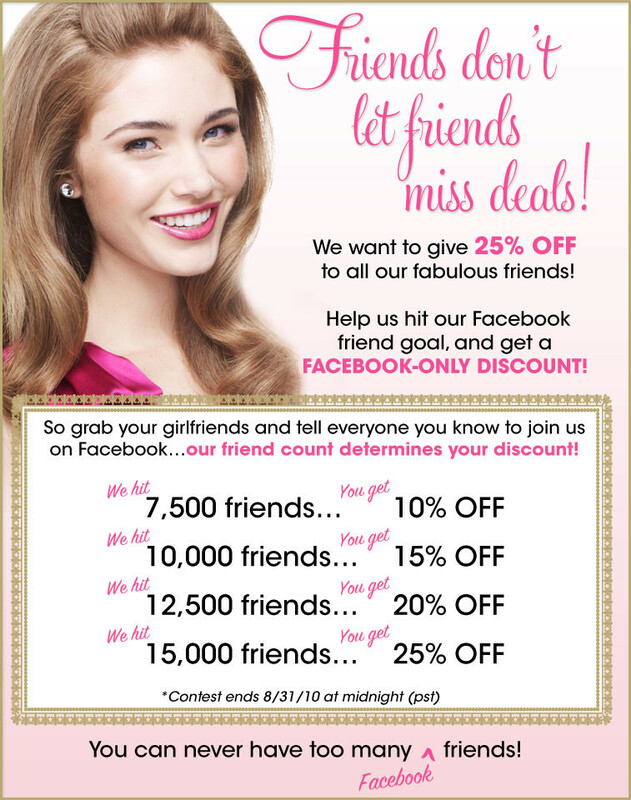 So be sure to 'Like" Too Faced's Facebook page by clicking here and share this info with all you friends!